These titles, while not published by Plus Ultra Books, come with the highest recommendataion and endorsement of this brand, as a foundation-point for research into ancient Catastrophe. 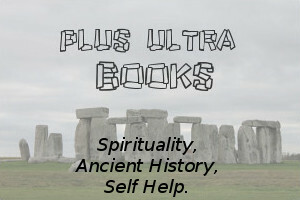 Please be aware that "Plus Ultra Books" tries to only recommend five-star books and products. These recomendations are an excellent spread of the highest-reviewed titles from the very best authorities on the subject. This incredible work contains the photographic evidence that Eric Von Daniken claims supports his 'Ancient Astronaut' Hypothesis. Read it and be amazed! Receiving high reader ratings, it is the perfect visual complement and update, to Chariots of the Gods. ISBN: 978-1601632838. Zacharia Sitchin plots an incredible course through his re-interpretations of ancient history. In this work, the mythological tales of gods take on new and profound form. Interpreted through the perspective of high technology, ideas of 'ancient aliens' suddenly seem to replace quaint notions of ancient gods in spiritual form. In this work, Lord Enki, the Annunaki god, reaffirms and provides his own unique perspective, on the planet Earth, mined for its resources. In Sitchin's interpretation, Homo Sapiens was created for this very purpose! This is one of Sitchin's greatest works! ISBN: 978-1591430377.